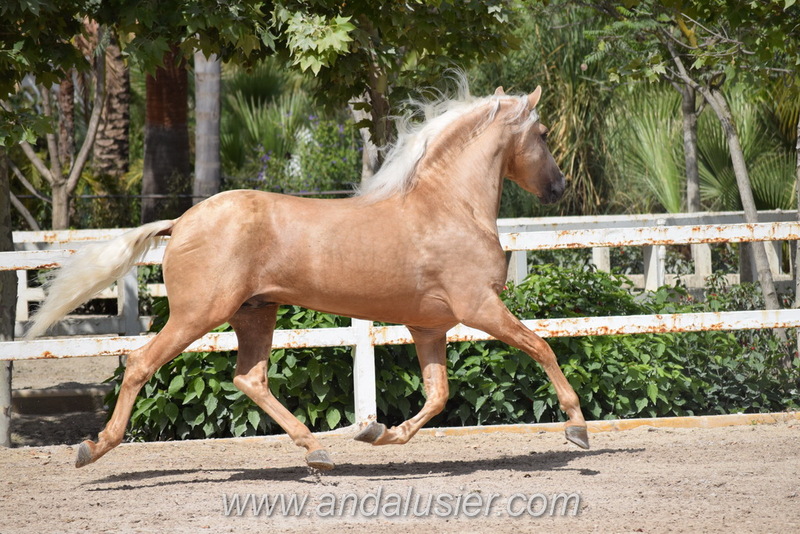 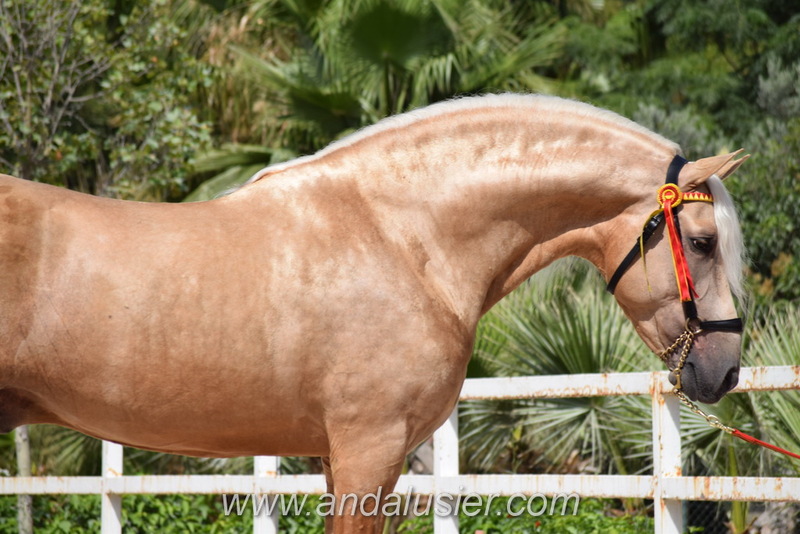 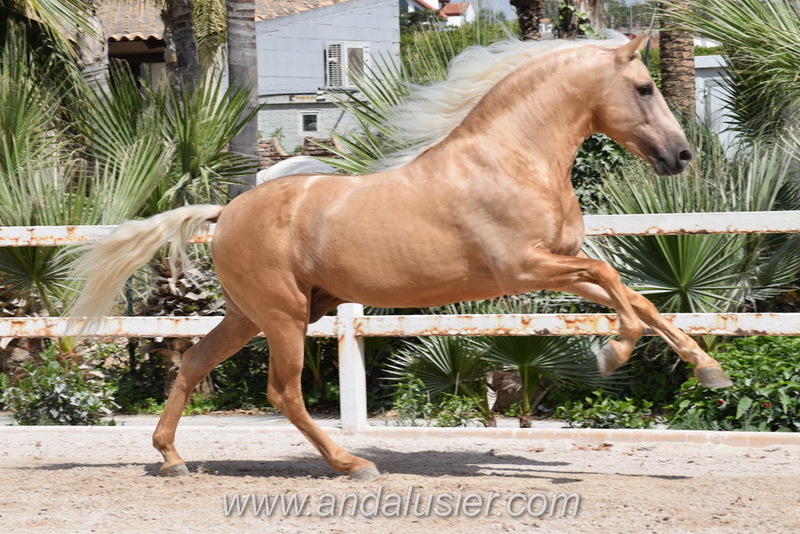 Egoista A from the breeder Yeguada Antares with the star branding is one of the very few approved Palomino stallions to be found amongst the PRE breed! 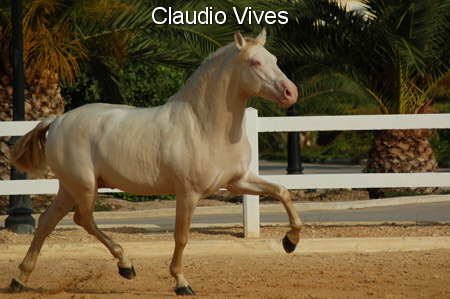 Sired by Claudio Vives (1,66 m, Gencode: Ee AA CrCr) from the breeder Fernando Vives Bañuls, the Albino breeding stallion of the same breeder, he is carrying very important color genes from the lines of the breeder Paco Marti being grandson of Cesar VI (see picture!) 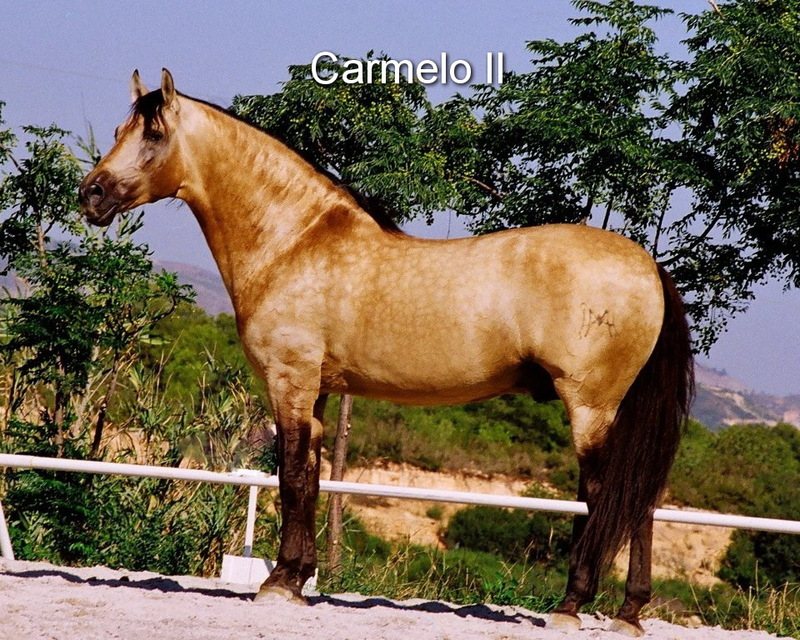 und Carmela V, and grand-grandson of Carmelo II (see picture!) 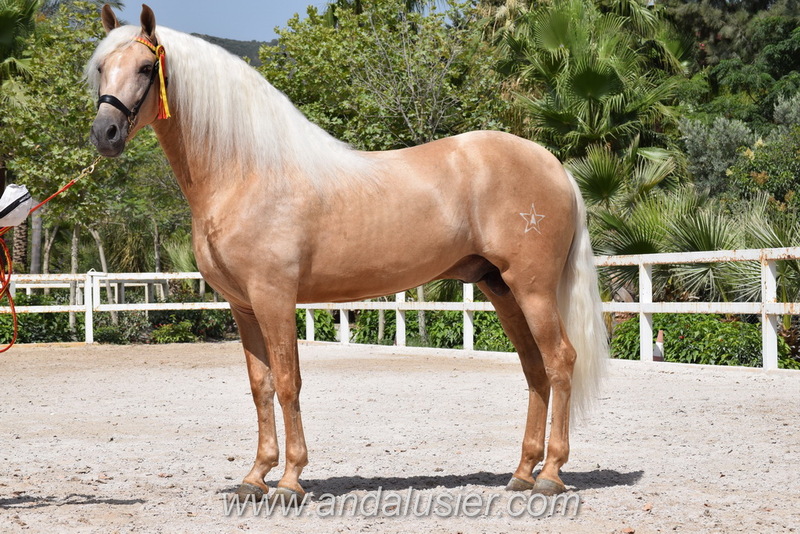 , all being buckskin! 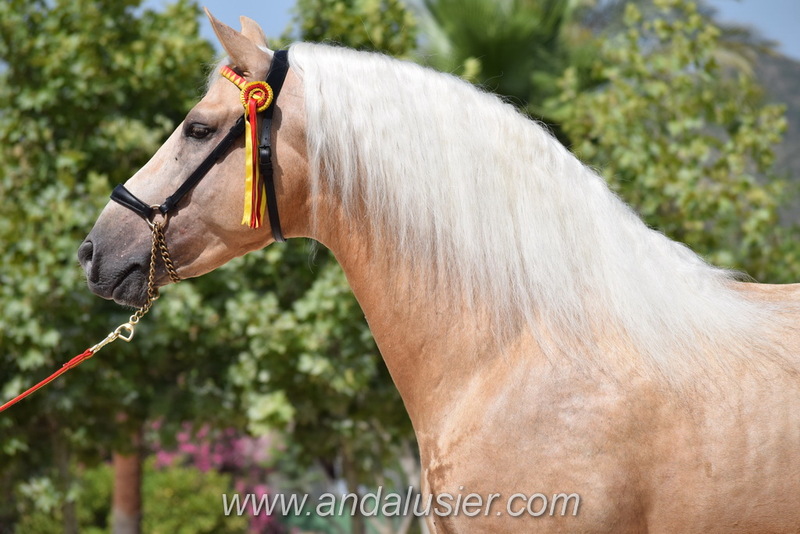 Egoista has a sweet temper, loves his human and is well behaved in every situation. 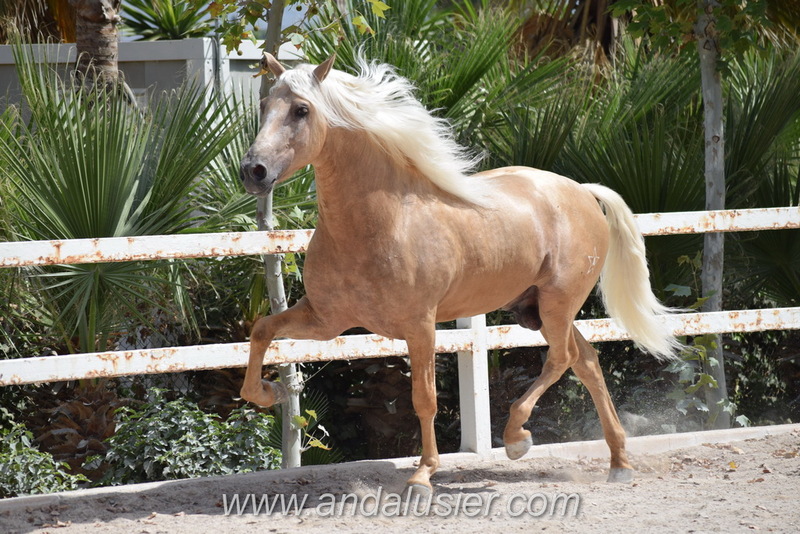 His movements are showing the beautiful high action and extension, absolutely steady with natural rhythm. 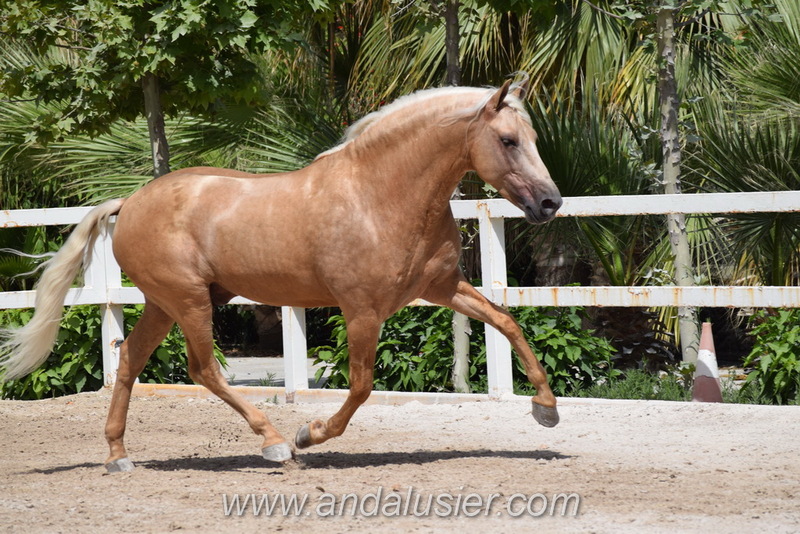 He is now being trained and ridden on a professional riding plan, learning right now lateral work, half pas and the correct basics of dressage.